The Latest in Your Email! Please visit our new mailing list here to subscribe and to get the latest updates. Or fill out the form below! 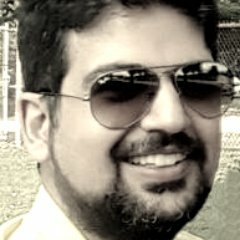 Signup today, and be the first to get notified on new updates. I am very happy to help bring Michael Spayd and Michele Madore to Toronto. Michael and Michele are coming to Toronto for Transformational Leader Workshop (Apr 4-6). And they are generously offering a very special promotion rate for the Agile community, the lowest in town! How to Register: To register please visit the registration page, and don't forget to use the promo code: AgileLunch. Just for Toronto: Michael and Michele are also including a free online seminar for all TORONTO registrants. 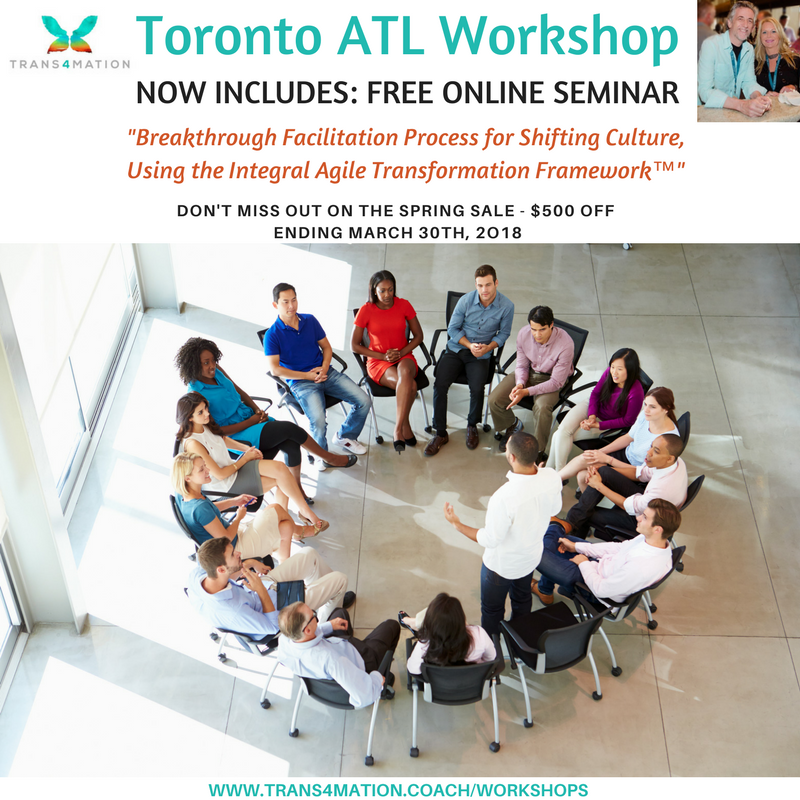 The Agile Transformational Leader is a three-day workshop for Agile Leaders, Managers, and Coaches that work at the enterprise level in Agile transformations, transitions or improvements. 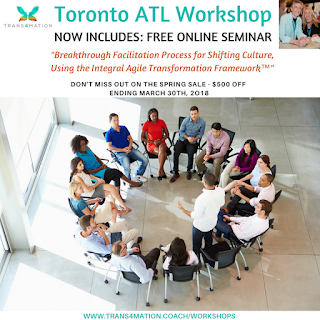 Designed by Michele Madore, this workshop is built on Michael Spayd's Integral Agile Transformation Framework™ (Ken Wilber's Integral models), including Integral approaches to Leadership, and an Integral organizational change model, all of which are whole-system frameworks. The course provides a set of thinking tools and a roadmap for guiding Agile Transformational Leaders and Coaches with a broad and holistic approach in their organizational environments. It is ideal for companies who wish to increase the capabilities of their Agile Leaders, Agile Managers, or Agile Coaches to lead Agile Transformations in order to sustain the change after external coaches leave. Understand your role as an Agile Change Leader in consciously designing your transformation approach, including starting with your own personal breakthrough. To learn more about the workshop please visit Trans4mation Coach. FYI, this workshop if ICAgile certified for Enterprise Agile Coaching, and can be used toward your CSP certification from Scrum Alliance. Please don't hesitate to contact us with any questions/comments you might have.